On February 10, 2017, the Parliament of Mongolia enacted the resolution #23 regarding the matter on Erdenet Mining Corporation LLC and Mongolrostsvetmet LLC. Through its resolution, the Parliament directed the Government of Mongolia to acquire 49 percent stake of Erdenet Mining Corporation LLC & Mongolrostsvetmet LLC, which were purchased by our company from Russian state-owned enterprise “Rostec”, through negotiation. In order to enforce the parliamentary resolution, the Prime Minister set up working groups twice – in February 2017 and in October 2017. On December 7, 2017, the Supreme Court of Mongolia ruled against the attempt to nationalize 49% stake of the companies and the direction given by the Government, which were based on the conclusion of the working group set up in February 2017, effectively reinstating Mongolian Copper Corporation as the 49% shareholder of Erdenet Mining Corporation and Mongolrostvetmet. As the negotiations with the Government was still pending, the Government misrepresented and claimed that it had reached an agreement with MCC. The Government, through its snap meeting, annulled the ruling of the Supreme Court and re-nationalized 49% of the companies. The working group set up by the Prime Minister held a meeting with MCC representatives and exchanged information. Hereby, MCC officially states that it has not reached any agreement with the Government to transfer of 49% stake of Erdenet Mining Corporation. In the Civil Code and current court practices, the “agreement” is an unambiguous concept. In other words, an agreement is reached as both sides agree on the terms without any undue influence. The Constitution of Mongolia does not authorize the Government to amend or overrule any judgment of the Supreme Court to achieve its political promises. The above actions of the Government are in violation of the Constitution of Mongolia, the Civil Code and other related laws. The Government is repeating the previous Government’s mistake. It is unfortunate that the Government of Mongolia is deliberately confusing the public and giving false information to mislead the truth to justify its illegal actions. 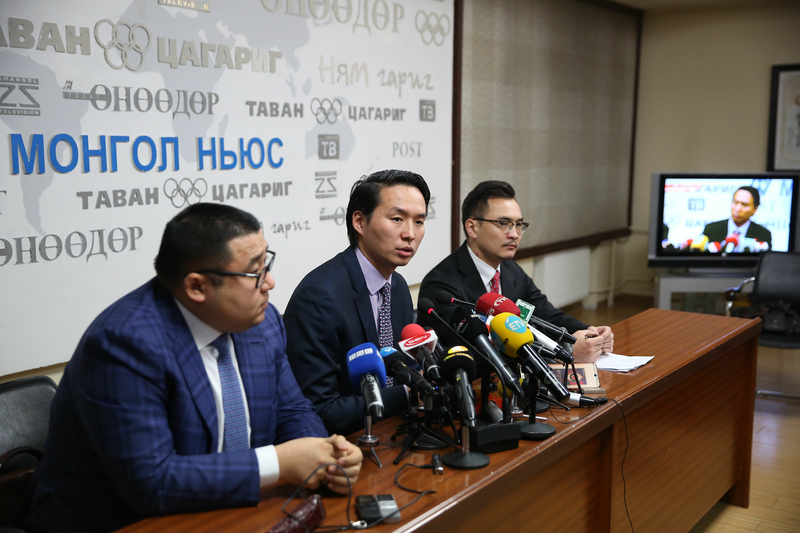 “Mongolian Copper Corporation”, a national company of Mongolia, will take further steps to protect its interest within the legal framework.